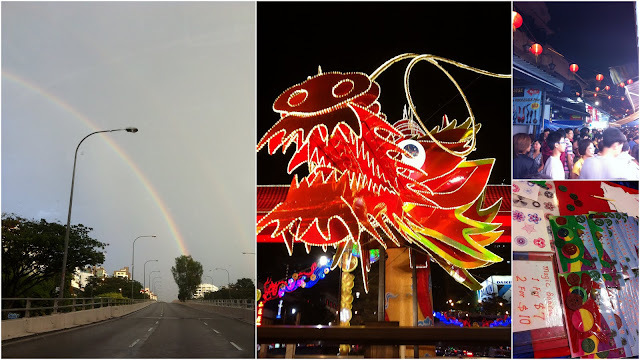 CNY prep started on friday with a visit to the night market for some veg. All the goods were arriving fresh from the wholesalers- look at that giant oyster mushroom! The house was decked with flowers the next day, all ready for monday the first day of cny. 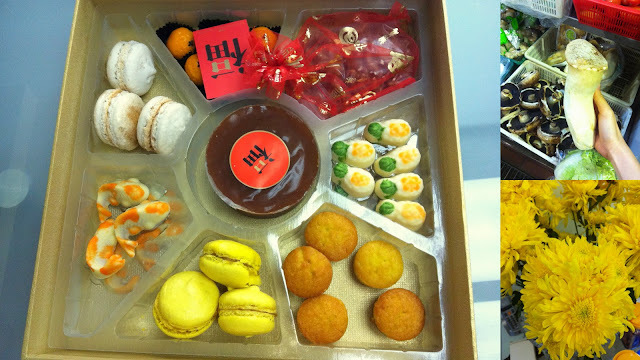 We also received a box of goodies- the most notable being the pineapple macarons. This flavour seems to be in vogue this year; shell wasn’t very spectacular but the filling was quite delicious. 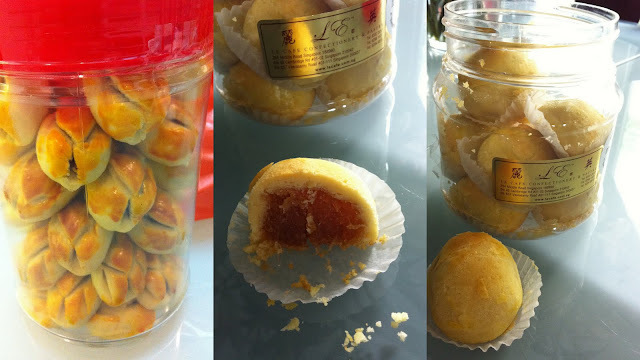 Two types of pineapple tarts in the house this year. The yearly staple by mum’s friend made it just in time, and Le Cafe’s famous golfball tarts. Aesthetics-wise Le Cafe’s didn’t impress, but what it lacked in form it made up in substance. The thin crust was crumbly and not buttery to the extent of oily, while the filling was very generous, larger than a quail egg! However dad still prefers ours because it’s pretty perfect in all aspects (except maybe the crust, it’s less crumbly and melt-in-the-mouth), and bite-sized making it much easier to eat haha. I like both because I don’t really mind making a mess. the best kueh lapis I’ve ever had was at one of the visitations. This was from indonesia, and we spent quite a lot of time discussing how they made it! 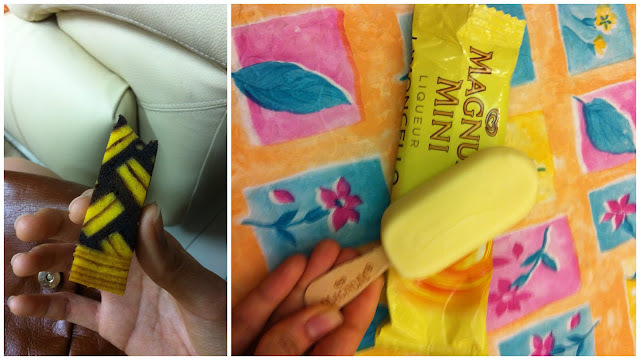 The limoncello mini magnum was good, but I still like the double chocolate series better.